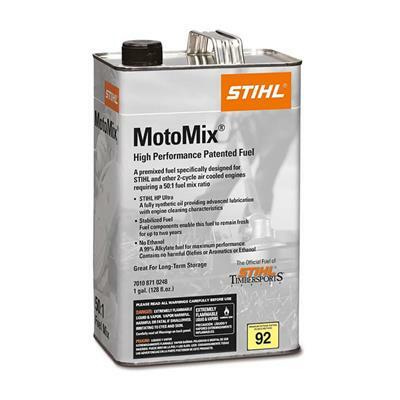 STIHL MotoMix® is our patented premixed fuel, specially blended for ultimate performance. Like a sports drink for your engine, this 50:1 mixture is a combination of premium non-ethanol, high-octane motor fuel and our highest-quality STIHL HP Ultra oil. 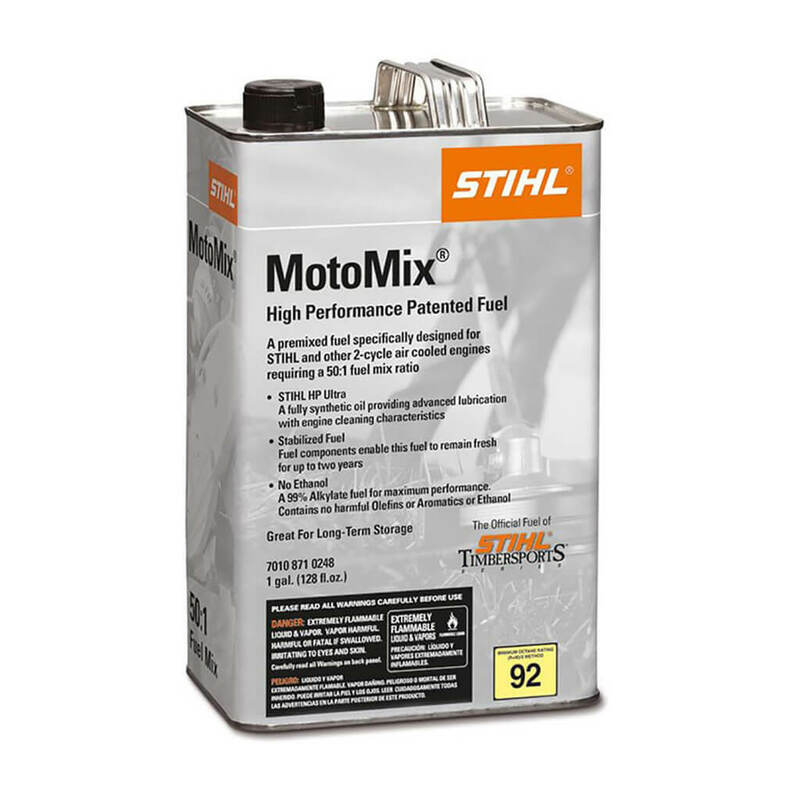 Clean and convenient, MotoMix® eliminates the hassle of mixing your own 2-stroke engine fuel while providing superior performance and lubrication. Plus, we stand behind this formulation by doubling the limited warranty when you include MotoMix® with your power tool purchase. STIHL MotoMix® contains no ethanol, allowing it to maintain stability for up to two years after the seal is broken - so it stays fresh in your equipment during long storage periods. MotoMix® is also made of non-aromatic fuel and fully synthetic, highly biodegradable engine oil. It’s no surprise that MotoMix® is the official fuel of the STIHL® TIMBERSPORTS® Series.